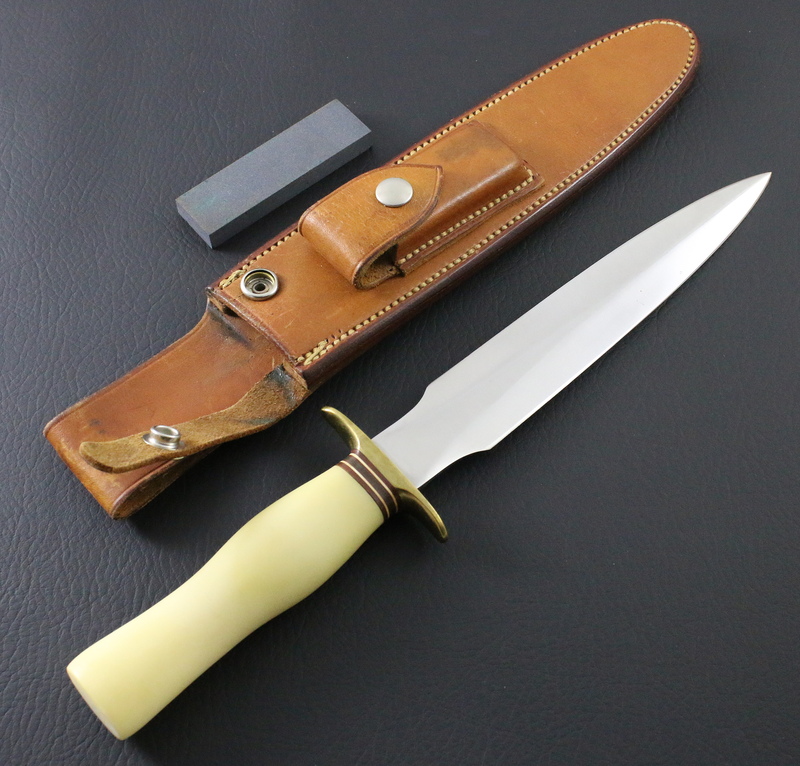 Condition – Knife has been in the sheath, lightly sharpened. 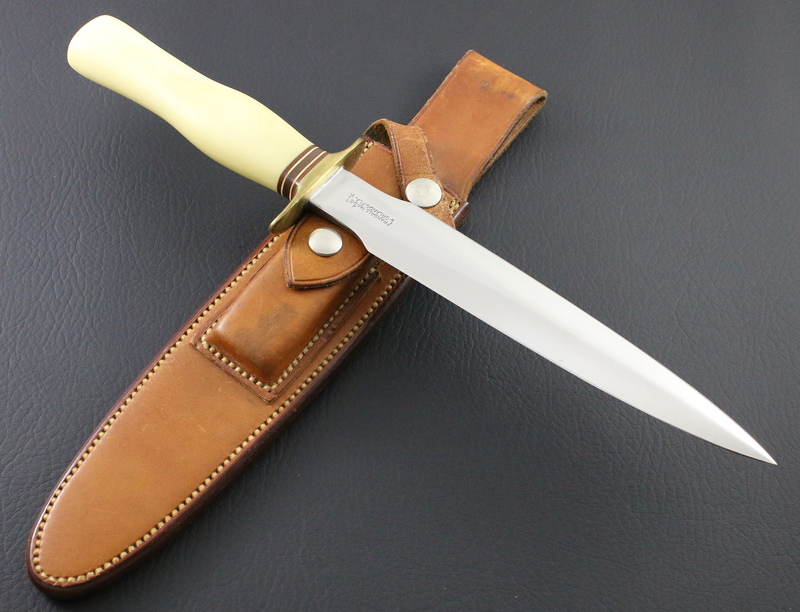 Blade – 8″ carbon steel, lightly sharpened, some light carbon spotting. Handle – Seven spacers at the hilt which helps date this knife prior to 1972. 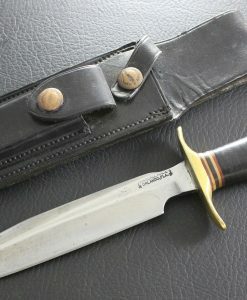 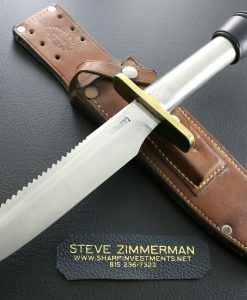 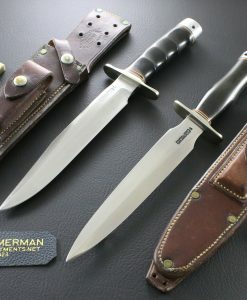 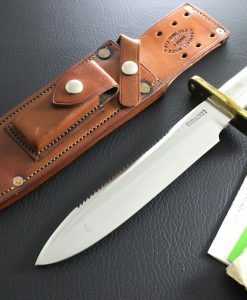 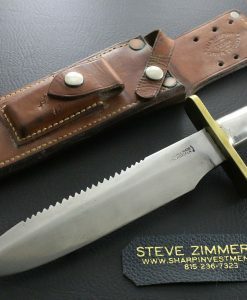 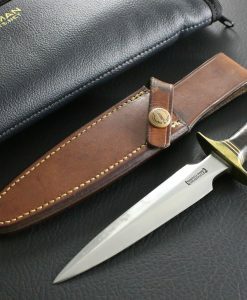 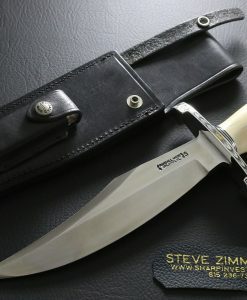 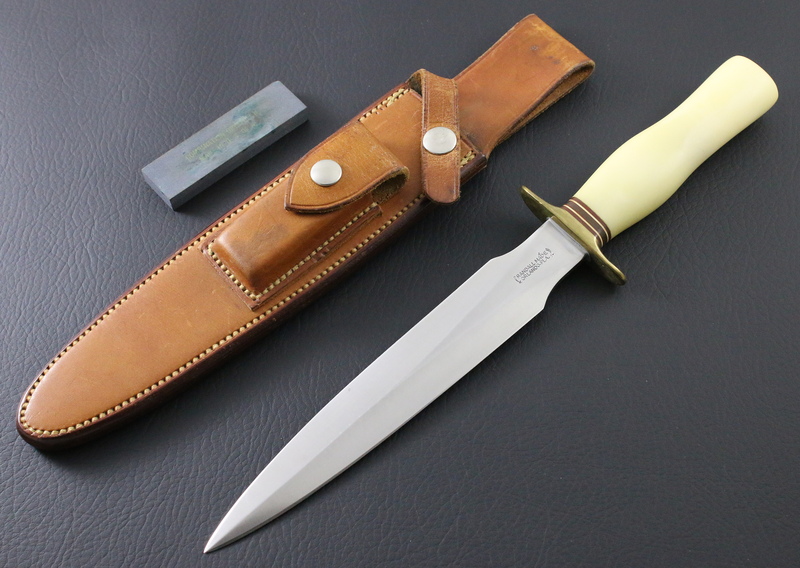 The handle is made from Delrin which Randall Made Knives only used for a brief period from 1967-1972. 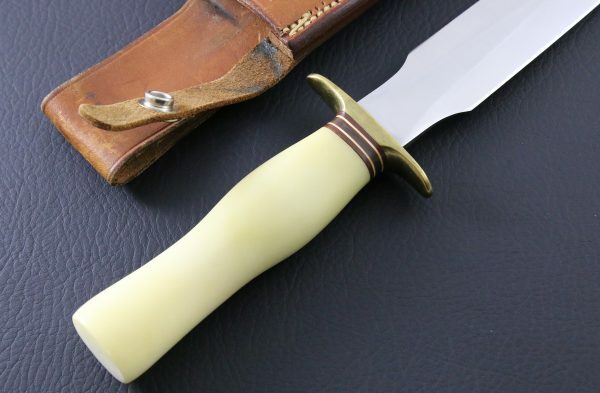 This was a “stable” alternative to Ivory which is known to crack. 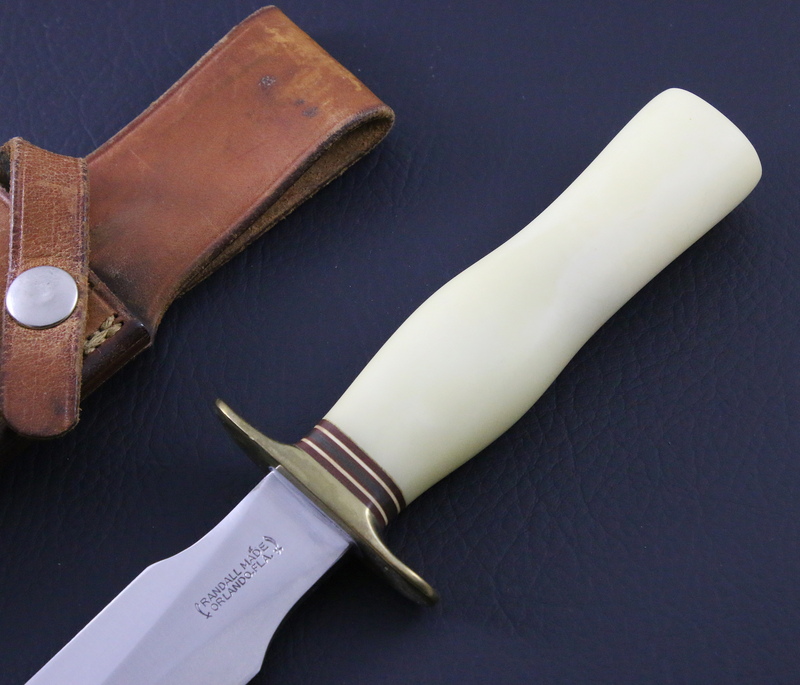 Sheath – Johnson rough back. Stone – Correct period yellow print Combination Crystolon. 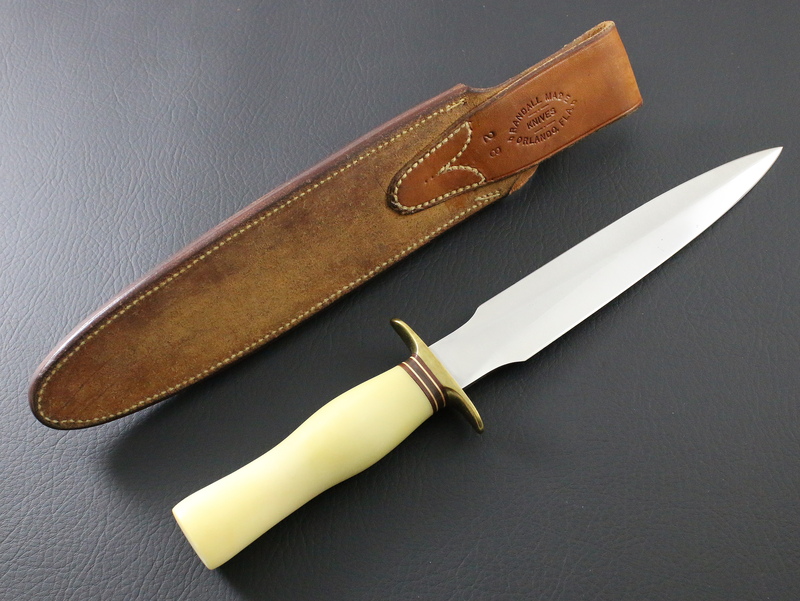 Randall Knife Model # 12 – 8″, Highly embellished, Ivory, Skaggs, 24 K Gold ! 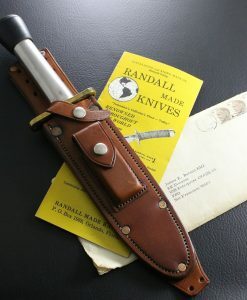 Vintage Randall Model # 14, unlined thong hole and riveted JRB sheath – EXCELLENT ! 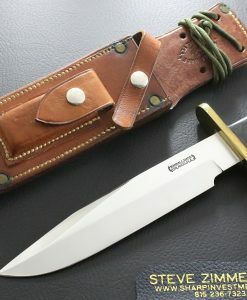 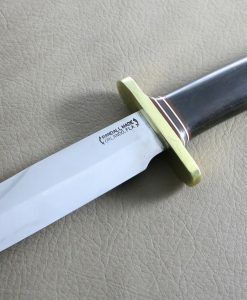 Randall Made Knives 50th Anniversary Knife # 87 -100.